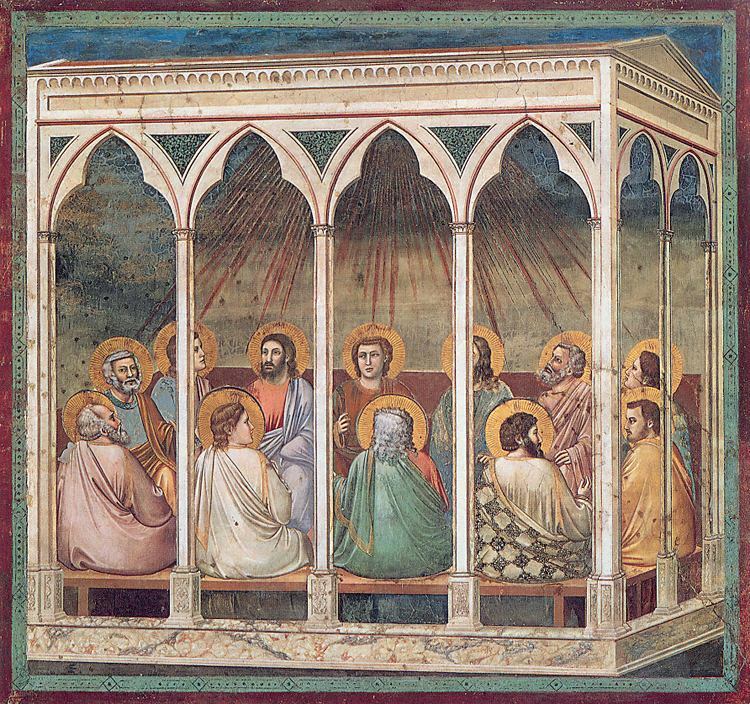 Today is Pentecost, the day that commemorates the descent of the Holy Spirit and the divine enlightenment of the gathered Apostles, when they were suddenly given the wisdom to speak all languages and that marks the institutional beginning of their mission and the Church generally. What the New Testament doesn’t say is that the Apostles were gathered to celebrate Shavuos (lit. “weeks”), “Shvuyes” in deep Yiddish pronunciation, the day God gave the Torah to the people of Israel. The Christian feast of a gift of divine wisdom was based on the existing Jewish feast of a gift of divine wisdom, and Shavuos comes seven weeks after the first day of Passover, like Pentecost comes seven weeks after Easter – it means “fiftieth” – a name Greek-speaking Hellenistic Jews were already using for the holiday long before the Christian era. I always loved the reading for Pentecost from the Book of Acts (below in English, the original Greek and the Vulgate Latin). In its endless list of peoples I always felt a kind of Pax Romana yearning for unity that still moves me, especially when it’s properly recited. It’s a bit of a sad holiday too because it marks the official end of the Easter cycle (like it does the end of the Counting of the Omer in Judaism). Significantly, the day before is one of the several “soul Saturdays” on which the Orthodox Church commemorates the dead; old folk beliefs held that the dead dwell among us from the Resurrection until the eve of Pentecost and then depart again. And tonight at vespers, people kneel for the first time since Holy Week; the joy of the Easter season prohibits any kneeling or prostrations during the seven weeks it lasts. It’s the return to Real from Divine time. And from the period of renewal where death has been defeated to real existence again where it still holds full sway. Until the promise of the next Resurrection.